At Whitehouse Cox, we’re passionate about crafting quality leather accessories. From our travel essentials to items you’ll want to use every day, we craft each of our accessories by hand right here in the UK using only the finest of leathers to ensure the upmost quality. To help you choose, we’ve put together a guide detailing everything you need to know about our luxurious ladies’ purses. Read on to see the thought that goes into our designs and find the purse that’s right for you. Elegant, sophisticated, and minimal – the Whitehouse Cox Classic Clutch Purse is the ideal everyday accessory, with plenty of room for cards, cash, and notes. The clean and simple design ensures this is a timeless piece, whilst the variety of colour combinations allows you to show the world who you are. If it’s room you need, the Large Zip Round Purse is the perfect choice. With plenty of pockets to separate your belongings and a sleek, elegant design in multiple colours, this purse is both practical and stylish. Whether you go for vibrant red or civilised navy, you can be sure that all your coins will be kept safe in the Zip Round Coin Purse. Crafted from our superior bridle leather, this piece boasts the unmistakable Whitehouse Cox quality seen in every one of our products. With a convenient clasp, zip-up coin pocket, and plenty of room for cards, this practical purse is a must for everyday use. The two-tone colour design and stitching detail add to the appeal of our Zip Purse. The soft bridle leather and gently rounded edges of the Medium and Small Clutch Purse create an effortlessly chic appearance, whilst the minimal design ensures it’ll never go out of fashion. Store cards, cash, notes, and receipts in this spacious purse. In a unique folding design, this purse is created to hold plenty of items without becoming too chunky, so it’s always slim enough to fit in your handbag. For the woman who’s always stylish – and always has a lot of change! – the Three Fold Purse is an essential. Small and stylish, the Small Coin Purse oozes class. Whether you always like to keep your change separated from your notes and cards, or you need something small to pop into your handbag now and again, the quality ensures you’ll be able to use it for years to come. For the organised lady, the Small Coin Purse Pass Case is a must. Small enough to fit into your handbag, but with enough space in the inner pockets for notes and change, it’s designed for practicality. Use the clear exterior window for easy access to your cards and other important items. Discover how your Whitehouse Cox purse will be carefully crafted by watching the process behind the making of our Bridle Leather Clutch Purse. 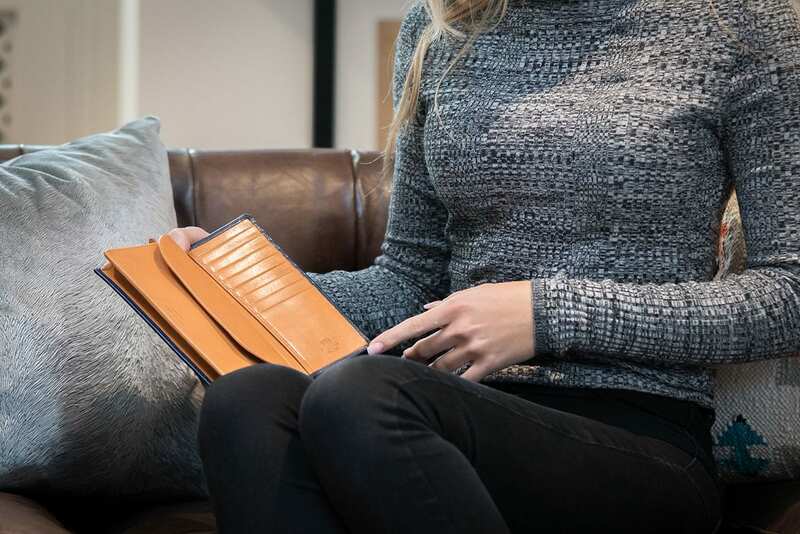 If you have any questions about any of our quality leather goods here at Whitehouse Cox, don’t hesitate to get in touch with our team today – we’re always happy to help.